USA – Total Structures has to announced its latest training event which will be held in Ventura, California, from 23-27 January. A wonderful time to be visiting the west coast with average temperatures in Ventura at that time of year being around 66 degrees! This five day ETCP recognised workshop will include instruction and advice on the safe use of outdoor structures as well as an explanation of the American National Standards ANSI E1.21 - 2013 (Entertainment Technology - Temporary Structures Used for Technical Production of Outdoor Entertainment Events) and ANSI E1.2 - 2012 (Entertainment Technology – Design, Manufacture and Use of Aluminium Trusses and Towers). 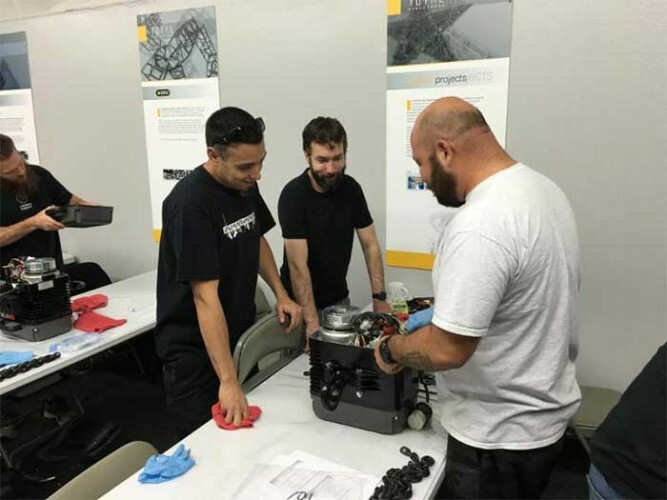 The third day of the workshop will focus on teaching the attendee how to safely operate and manage the complete range of Pointman electric chain hoists with the final two days focused on rigging related instruction. The event is an ETCP approved training program and will provide qualified attendees with the maximum 30 renewal credits towards their rigging qualification renewal. Taught by Jeff Reder, principal and partner in Clark-Reder Engineering, a full service consulting engineering firm based in Cincinnati, Ohio. Jeff, business partner Daniel Clark, and their staff are presently licensed in all 50 US states, Puerto Rico, Guam, and the District of Columbia and are highly experienced in the design and use of both aluminium and steel outdoor stage roof and ground support systems. Throughout the course of the day Jeff will explain the process of structurally engineering a temporary outdoor structure, provide guidance on how to read such reports as well as help the attendees develop and perfect important operational documentation such as operating manuals, high wind speed action plans, etc. 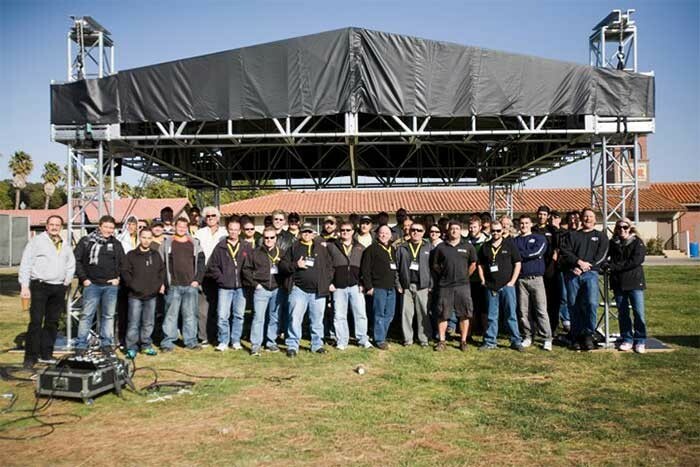 Focus will also be brought on explaining relevant standards such as ANSI E1.21 - 2013 (Entertainment Technology – Temporary Structures Used for Technical Production of Outdoor Entertainment Events) and ANSI E1.2 - 2012 (Entertainment Technology – Design, Manufacture and Use of Aluminium Trusses and Towers). The former was recently updated to cover the use of nearly all outdoor structures used in the production industry and no longer just concerns stage roof systems. 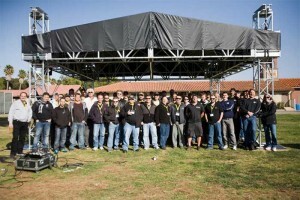 Therefore anyone involved with the erection or use of outdoor structures, whether video walls, PA towers, etc. should be aware of the requirements of this standard. Day 1's evening entertainment will consist of a tour of the Total Structures' factory, dinner and a chance for delegates to try their hands at various fabrication techniques used in the production of truss. Taught by Adrian Forbes-Black, vice-president of Total Structures. Adrian has over 20 years of entertainment rigging industry experience in both the United States and Europe, having worked for companies such as Tomcat and Columbus McKinnon before relocating to California ten years ago to work for Total Structures. Adrian will teach the fundamentals of aluminium truss design and use, as well as how to visually inspect the product and document the inspection for continued safe use and good record keeping practice as per ANSI E1.2 - 2012 (Entertainment Technology – Design, Manufacture and Use of Aluminium Trusses and Towers). Dinner will be provided at a local restaurant on the evening of Day 2. Also taught by Adrian Forbes-Black, the class will cover everything an end-user will need to know to safely operate and manage the range of Pointman electric chain hoists. 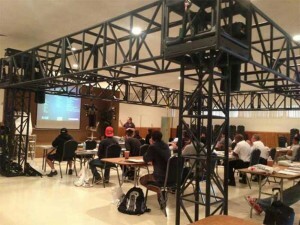 From basic design theory to troubleshooting to annual inspection requirements, the attendee will leave the class ready to manage their own fleet of hoists both in the warehouse and on the road. Day 3's after class entertainment will include the world famous Total Structures' Kart Racing Grand Prix followed by dinner. Trophies and bragging rights will be awarded to the fastest drivers of the night! The class will be taught by Ethan Gilson, a graduate of Emerson College (BFA, Performing Arts) and an ETCP Certified Rigger (Arena & Theatre) since its inception in 2005. In addition to being the staff rigger at ALPS, Ethan is an ETCP recognised trainer, has spoken at the USITT and LDI conferences and taught entertainment rigging throughout the country to a variety of industry individuals, businesses, and labour organisations. Ethan is a voting member of the PLASA Technical Standards Rigging Working Group and recently chaired the E1.39 Task Group, which created the first standard recommending proper fall arrest use within the entertainment industry (ANSI E1.39-2015 Entertainment Technology – Selection and Use of Personal Fall Arrest Systems on Portable Structures Used in the Entertainment Industry). 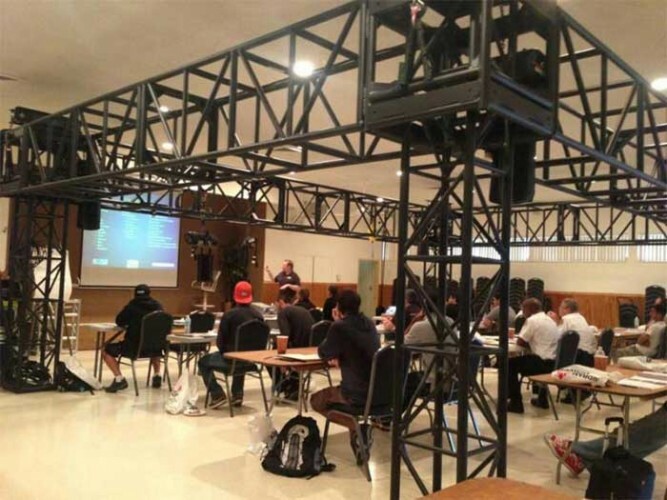 This class covers OSHA law, rigging hardware, rigging maths and more, with a special focus on the hot topic of fall arrest on temporary structures, including an introduction to Total Structures' revolutionary Halo and Sky-net products. Dinner will be provided at a local restaurant on the evening of Day 4. No dinner will be provided on the evening of Day 5 as it is assumed that most attendees will leave for home. Event details: Monday January 23, 2017 at 9:00 AM PST to Friday January 27, 2017 at 3:00 PM PST at Total Structures Inc. 1696 Walter Street, Ventura, CA 93003. Cost per attendee: $1,195 if paid on or before 30th November 30 2016, $1,395 if paid on or after 1st December 1st 2016. Due to the detailed nature of the instruction the number of attendees is intentionally limited at only 24 so please register soon to avoid disappointment as classes have been fully booked in previous years. Sessions will begin at 9am and run until approximately 5pm each day (except Friday when we intend to finish by 3pm to allow attendees to return home that evening if desired). All costs include unlimited snacks and refreshments throughout the day, as well as lunches, dinners and entertainment (as described above). The cost of the course does not include local accommodation, however we have negotiated discounted rates at two nearby hotels, located close to our headquarters where the workshop will be held, of between $75 to $125 per room, per night (plus tax, depending on the hotel and room type). Details of how to obtain this deal will be provided upon request. Alternatively additional accommodation from as little as $60 plus tax per night can be obtained at other local hotels, again details upon request. Local transportation between the host hotels, venue, restaurants, etc. will be provided. Transportation from local airports to nearby hotels or the venue will be provided depending upon availability and schedule. Course materials will be provided along with as much swag as possible! 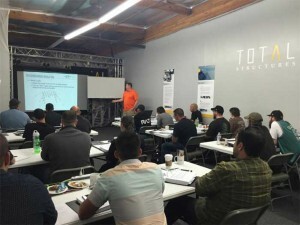 Potential participants who have attended prior Total Structures' training events will find an updated syllabus being taught, as well as the usual industry networking opportunities.